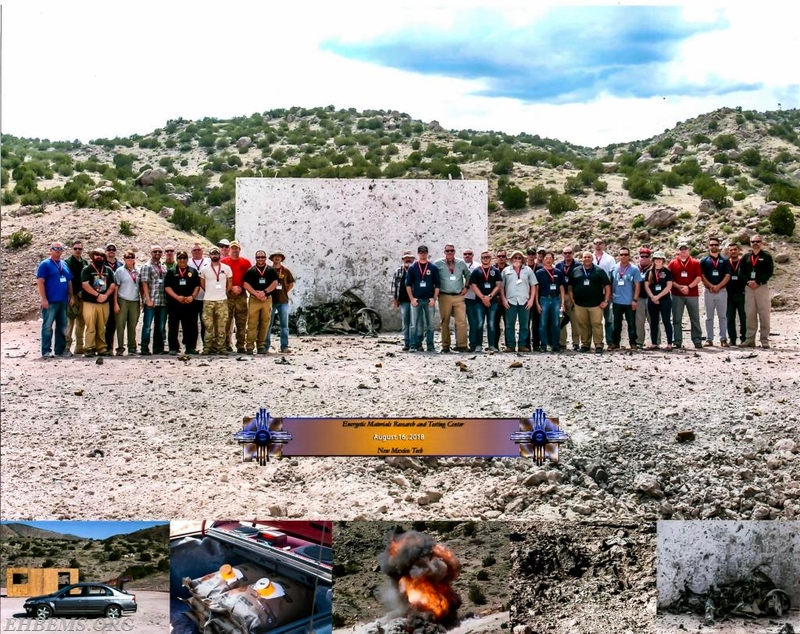 8/13/2018 to 8/17/2018 - Chief J. Carmen, Full-Time EMT J. McCully and Part-Time EMT C. Wardle spent the past week in Socorro, New Mexico attending the "Incident Response to Terrorist Bombings" class held by New Mexico Tech and the Energetic Materials Research Testing Center. 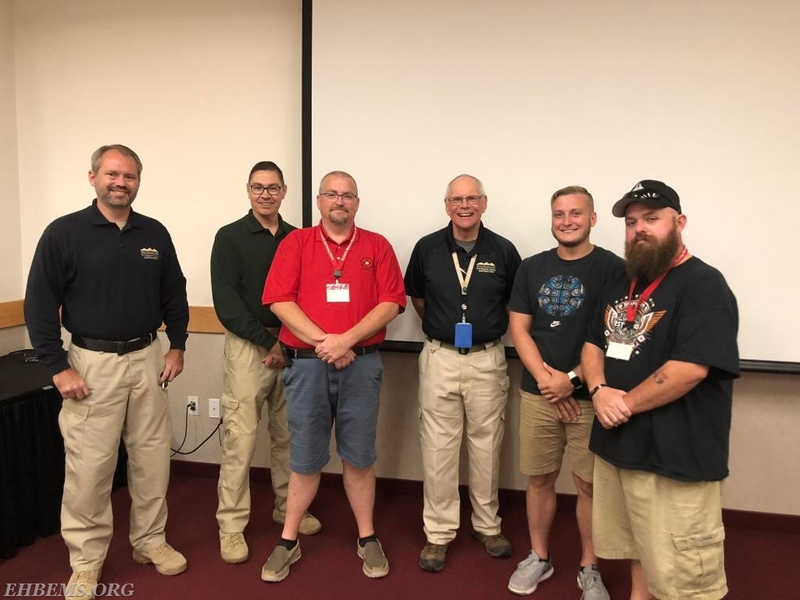 The IRTB course is a four-day program which is sponsored by the Federal Emergency Management Agency (FEMA), a division of the Department Of Homeland Security. The class is designed for first responders who may respond to or become involved in terrorist attacks and incidents that involve explosives or improvised explosive devices (IED's). The training involved learning the abilities and techniques in being able to recognize and identify commercial and military explosives, IED's and their components as well as readily available explosive formulations that terrorists may possess or could use to perpetrate a terrorist attack. The training also taught the ability to safely and effectively respond to an array of pre-detonation, post-detonation and continuing explosive incidents. The training consisted of classroom presentations, performance exercises and live explosion field laboratories. This is the third time Chief Carmen & EMT McCully have traveled together to New Mexico for training through EMRTC, having previously attended the PRSBI (Prevention & Response To Suicide Bombing Incidents) and IRTB for which they became certified training instructors for each class. Chief Carmen and EMT McCully attended the IRTB course for this second time due to updated changes / additions in the curriculum. Friday morning Chief Carmen, EMT McCully & EMT Wardle graduated the course after completing all the requirements and passing the final test. We would like to thank FEMA, New Mexico Tech, EMRTC, the town and citizens of Socorro, New Mexico, our classmates, project manager Michael Hawkes and instructors Scott Smiel, Joe Dempsey and Mac Page for everything involved in making this unique training opportunity possible. Photos courtesy of EMT McCully & EMRTC. 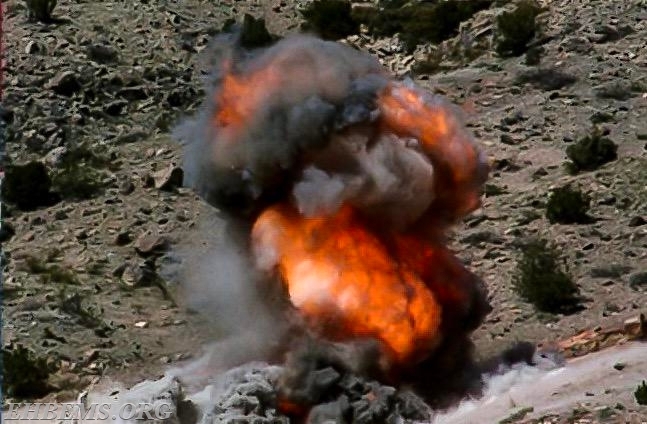 An exploding vehicle on the bomb range. Taken from the class photo provided by EMRTC. From left: Instructor Smiel, Instructor Page, Chief Carmen, Instructor Dempsey, EMT Wardle, EMT McCully. The IRTB class in front of the remains of the vehicle explosion. Photo provided by EMRTC.